Combine HTML to PDF. Save time, it's easy. 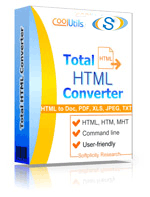 Convert HTML via command line. Save time, it's easy. Turn HTML to PDF in batch. Save time, it's easy. Combine many HTML files into 1 PDF professionally. How to convert HTML to DOC with ease and smile? How to export HTML to JPEG with custom settings?